One of the creators of the world’s most popular mobile operating system is to leave Google, it has been announced. Andy Rubin, who co-founded the Android project, is to step down after around nine years at the technology giant. Announcing Mr Rubin’s departure, Google said he created "something truly remarkable" in Android. Mr Rubin, who has also worked for Apple, reportedly plans to found an incubator for hardware start-up firms. "I want to wish Andy all the best with what’s next. With Android he created something truly remarkable – with a billion plus happy users. Thank you," said Google’s chief executive and co-founder Larry Page. 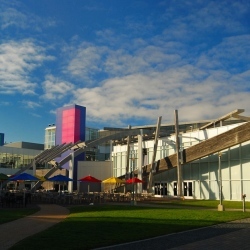 Mr Rubin’s departure comes after he stepped down from Google’s Android division in March 2013 to begin working on the technology giant’s robotics project. He was behind the acquisition of seven robotics companies in a six-month spell as part of a reported attempt to develop a rival to Amazon’s mooted drone delivery system. Google said that those claims were speculation. When he left, Android came under the control of Sunder Pichai, a rising star at the company who worked with Google Chrome and Apps, and who has since picked up yet more responsibilities from Larry Page.